Let’s Have a Pesto Party! Pesto. Yet another, albeit, surprising Italian Indian crossover. 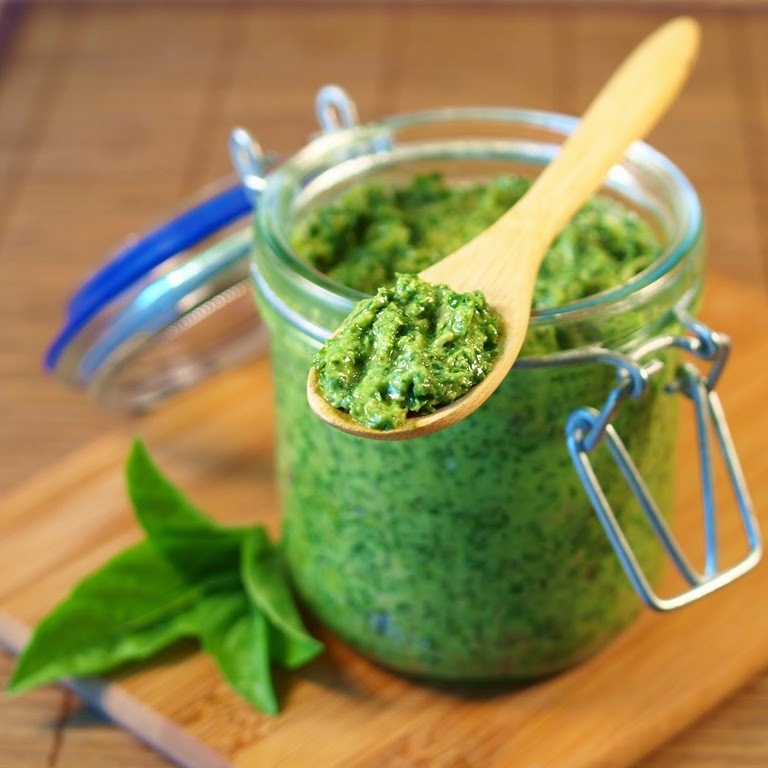 Basil, an herb that originated from India over 5000 years ago, is the main ingredient in classic pesto recipes. Pesto comes from Genoa in Italy where the ancient Romans used to eat a paste made of garlic, cheese and herbs although the first recorded recipe was recorded in 1863 in the book “La Cucuniera Genovese” written by Giovanni Battista Ratto and was later adapted in Provence to what we call pistou. Below is a glimpse of what can be done with a small combination of beautifully fresh ingredients. The flavours are bright and strong and can refresh pasta, meat, vegetable and fish dishes no matter the occasion. In a pinch, grill up some fresh bread and serve your favourite one as a dip to brighten up a lacklustre cocktail hour! All recipes yield approximately 1 1/2 cups. In the bowl of a food processor, add all ingredients except olive oil and parmesan. Pulse ingredients until chopped very fine. With processor running, drizzle in olive oil until the mixture is thick and smooth. Scrape pesto into a bowl and stir in parmesan. Pesto will keep for 2 weeks, covered in the fridge or can be frozen in airtight containers.